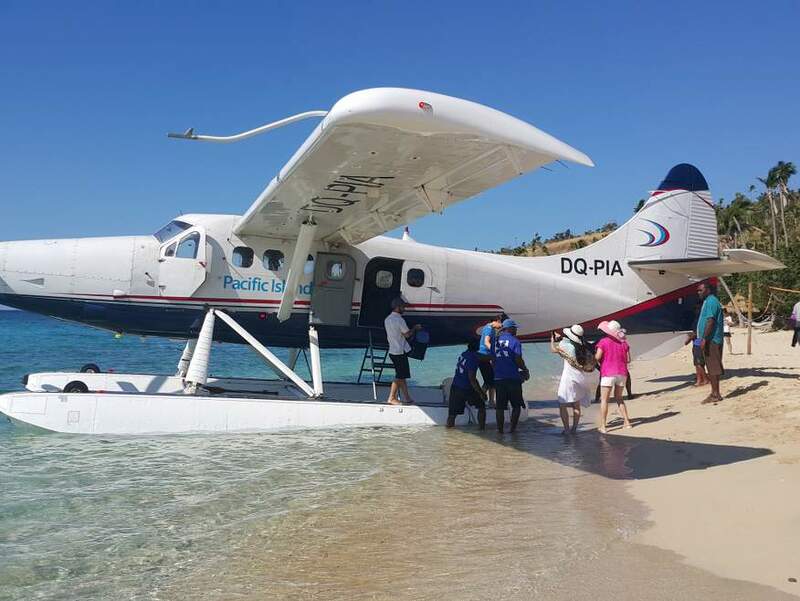 If you are planning a trip to either the Mamanuca or Yasawa island groups, then of course you need to consider how to get there (and back). 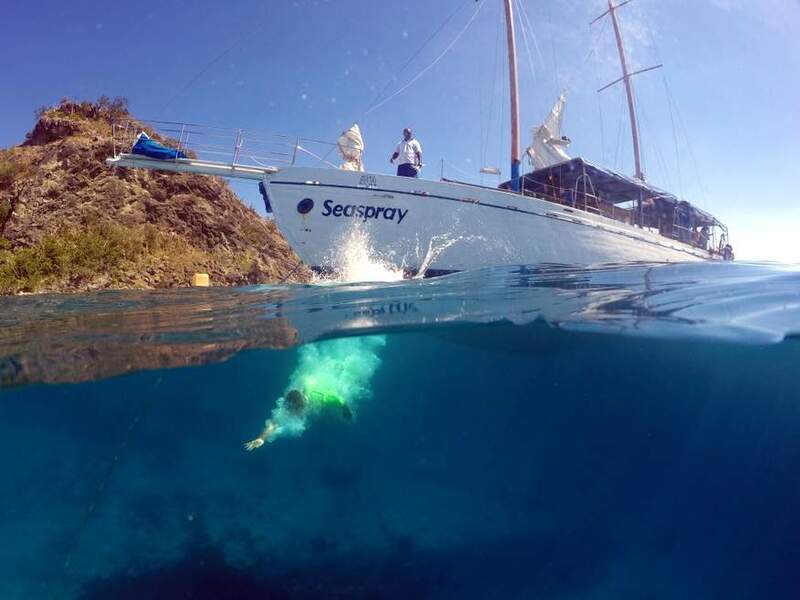 When you book accommodation at one of the many resorts in these islands, you need to double check if your boat transfers are included or not. If you're not sure if it's cheaper to buy a Bula Pass or separate tickets, just check the prices below, add them up then check the price on the Bula Pass page. Sometimes it can be cheaper to buy them individually. 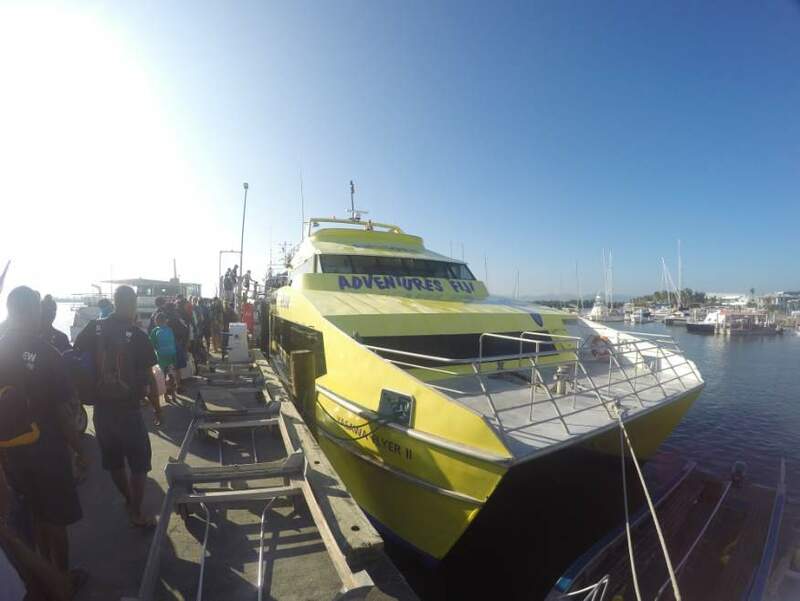 Yasawa Flyer leaves Port Denarau once a day only, at 8.30am 7 days a week. 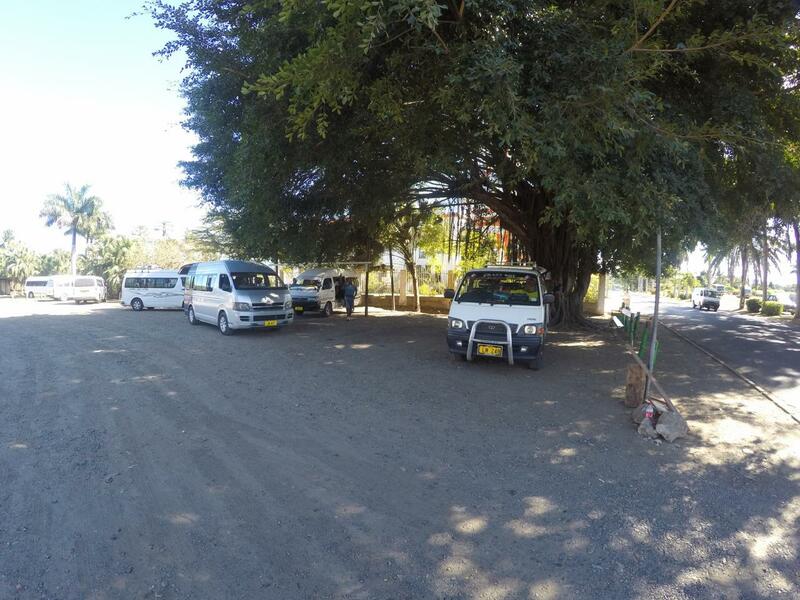 While the Yasawa Flyer is a water taxi between islands, don't assume you can just turn up and expect to board. Pre booking is not absolutely essential, but it is highly recommended. The Flyer is often full and there is only one departure a day (8.30am), so if you don't have a ticket, you might just miss out. 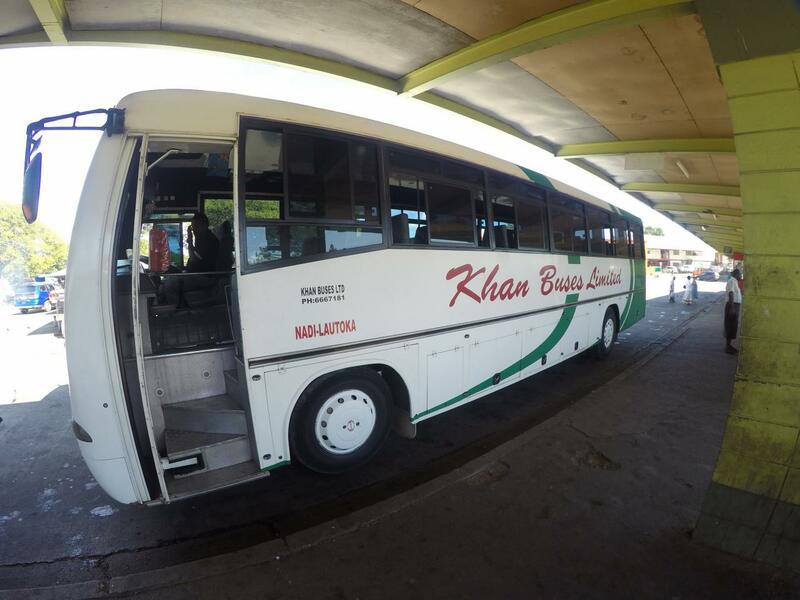 But don't worry... booking is easy, the trip is great fun, although we have to say the prices are pretty steep. 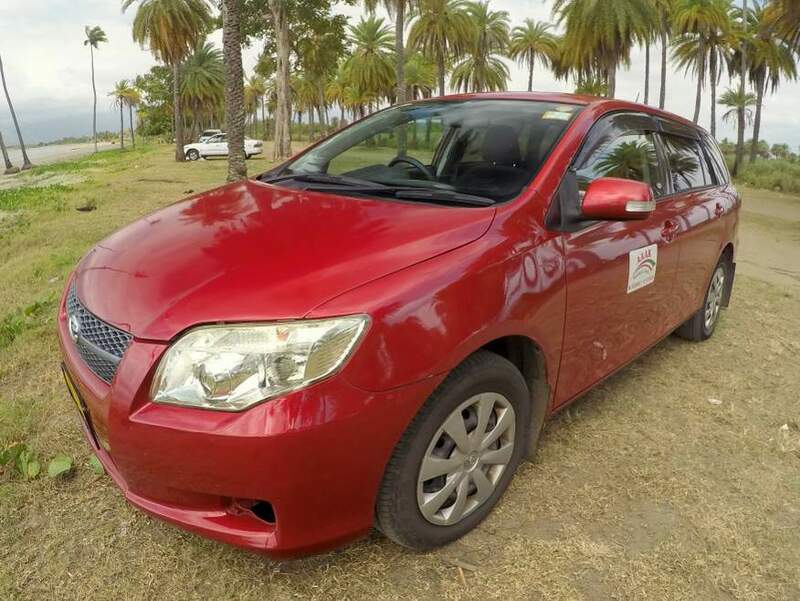 Please be warned the Flyer can often return back to Denarau late. It's normally due at 5.45pm but it can arrive as late at 8.30pm, which can make getting flights the same night very tricky. We would not advise taking the risk of flying out the same night. The delays are mostly due to switching boats if the normal yellow Flyer is not in operation, then they'll send the slower white boat. If you book the flyer directly you'll pay the full price PLUS 2.5% extra in credit card fees. The only way to avoid the extra fees is by booking through the form below. You'll pay a small 15% deposit now (on your credit card with no extra charges) then pay the balance in cash on the day of arrival. You can pay the balance with your credit card but you'll get hit with the extra charges. If price checking it often looks like we are more expensive but in fact are not. 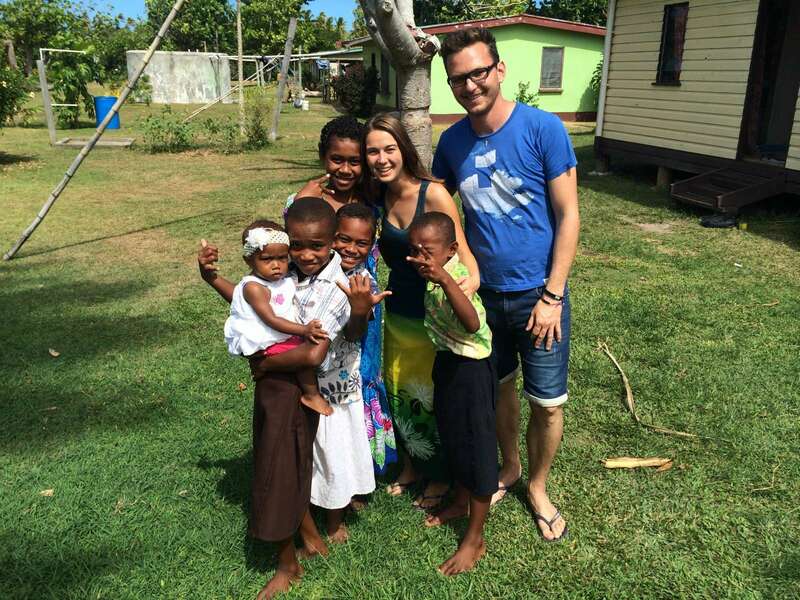 Our prices are shown in Fijian Dollars, but if you are looking at the Awesome Fiji website you will be seeing the prices in the currency of the country you are in. This is because they automatically default to this. So if you book the Captains Lounge from Denarau to Blue Lagoon the price is $225 FJD but in AUD$ it's $145, NZ$ it's $156 and USD$ it's $108. 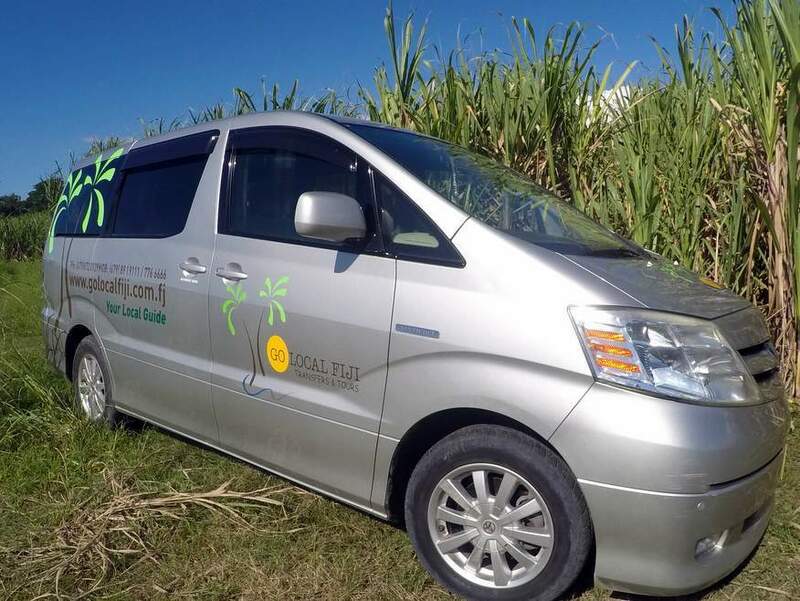 It's sometimes a little cheaper to book your own transfers between islands rather than opting for the island hopping "Bula Pass", just depends on where you're going. There are too many options to list all the prices here, just use the booking form above, choose the From and To and you'll get an instant price. 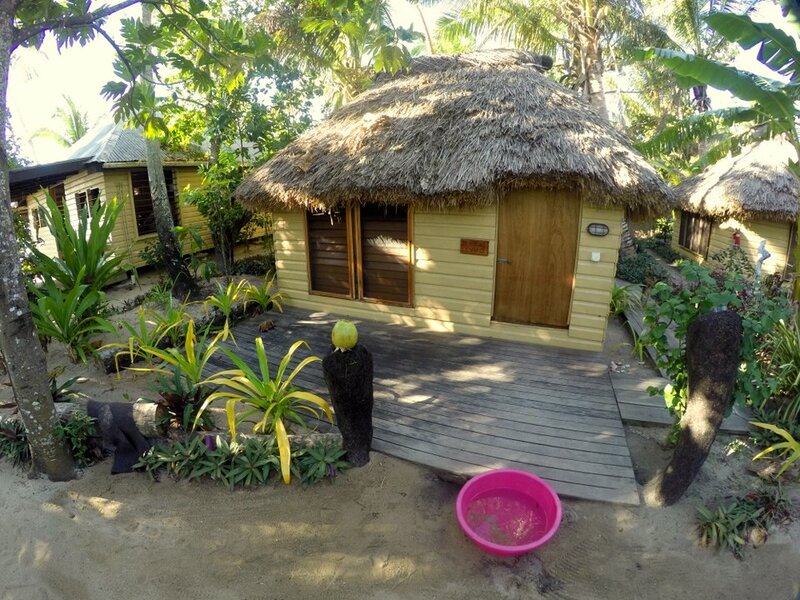 For prices on the Bula Combo Pass. 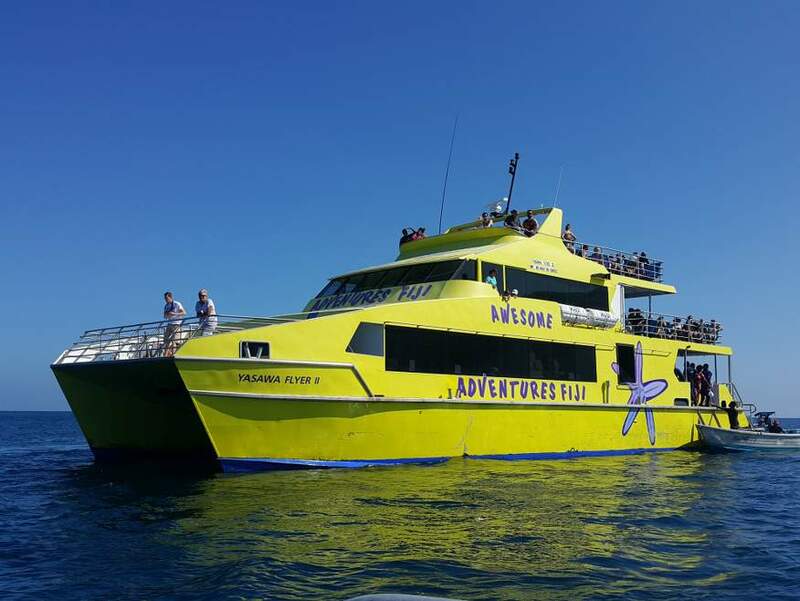 The Yasawa Flyer departs Denarau at 8.30am, with check in at 8am at the South Sea Cruises check in desk in the Passenger Terminal at Port Denarau. 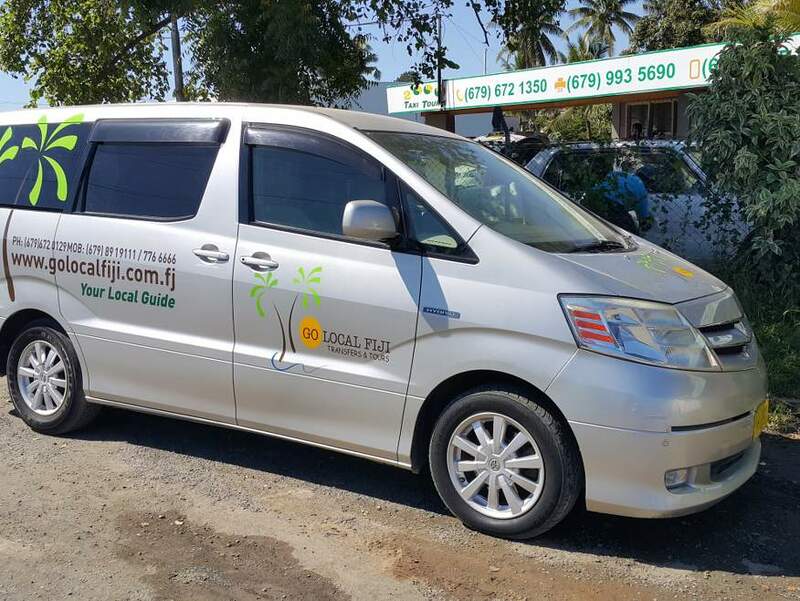 As every ticket includes FREE transfers from, and back to, your hotel, you don't need to worry too much about how to find the departure point, there will be lots of happy Fijian people to guide you in the right direction. If you're coming in on an early flight, pick up from the airport is at 6.50am. 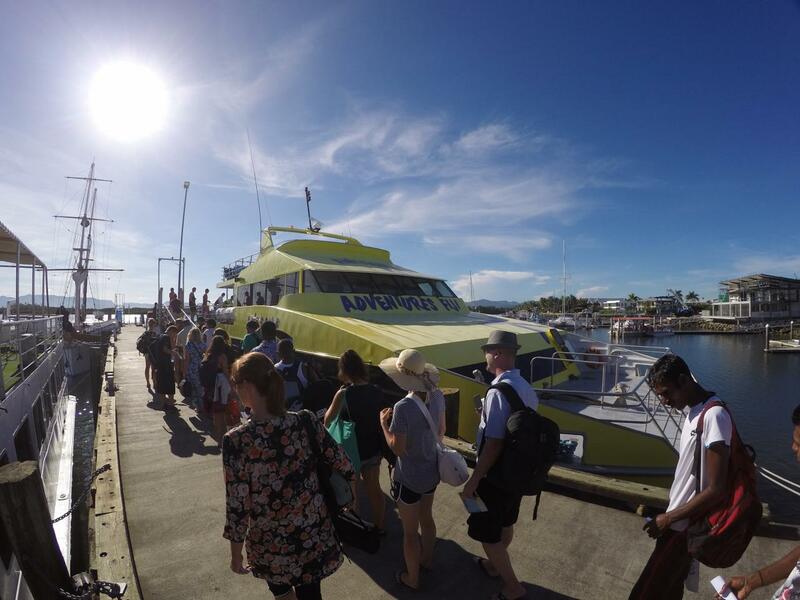 You'll return back to Port Denarau at around 5.45pm, although having said that the flyer can be late depending on how efficient everyone is at getting their transfer on time. Delays occur often, especially if the weather if not so nice, so make sure you have plenty of give in your schedule if you're planning on flying out the same night. 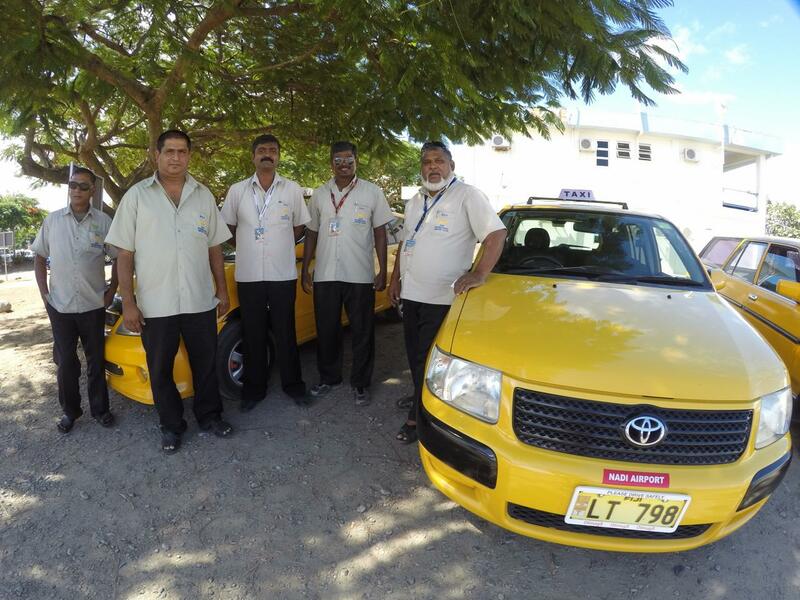 Free transport will be waiting to take you to your resort just outside the Passenger Terminal. 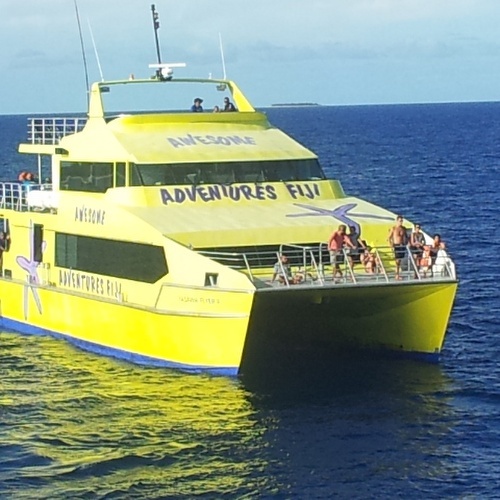 Follow the red line in the pic to the left which shows the route for the Yasawa Flyer boat. The white line is the South Sea Cruises boat, this is completely different, but run by the same company. 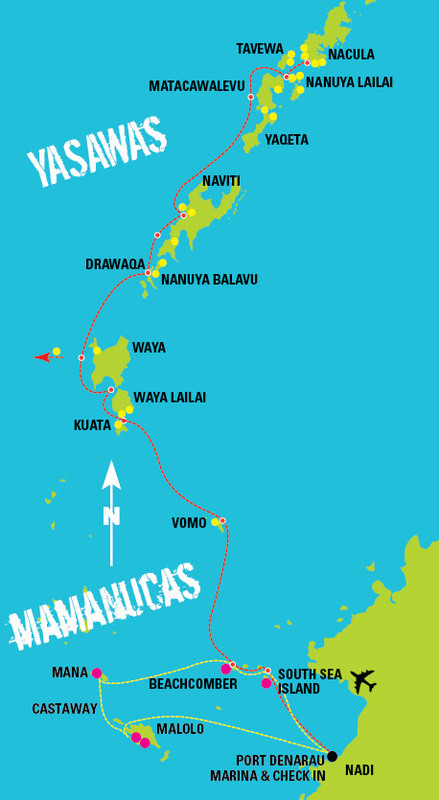 The Yasawa Flyer visits several of the Mamanuca islands on the way to the Yasawas (those Mamanuca islands are South Sea, Bounty and Beachcomber). If you want to get to any of the other Mamanucas, then you don't catch the Flyer. 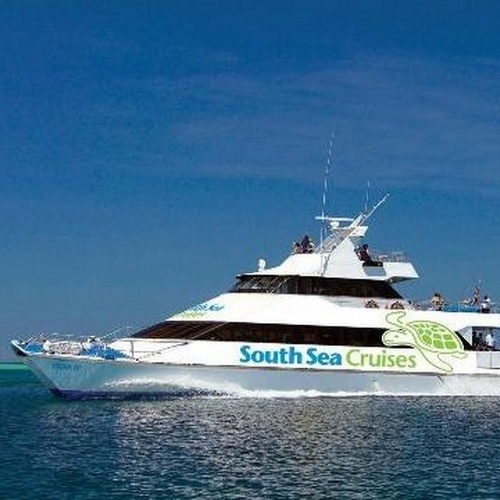 Click here to see all the ﻿South Sea Cruises Island Transfers for catamarans (those are the white ones). 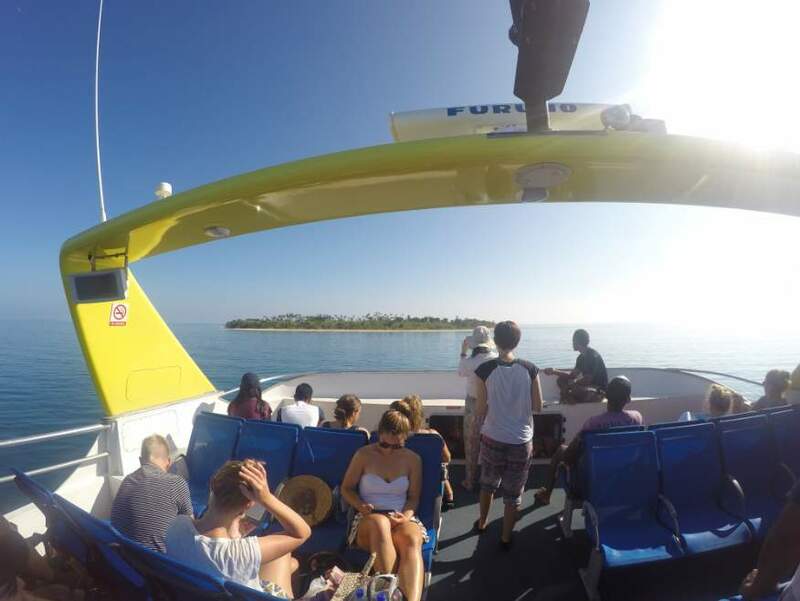 Or if you're looking for a day cruise around the islands or the full day trip to South Sea Island you can see all the tours here. 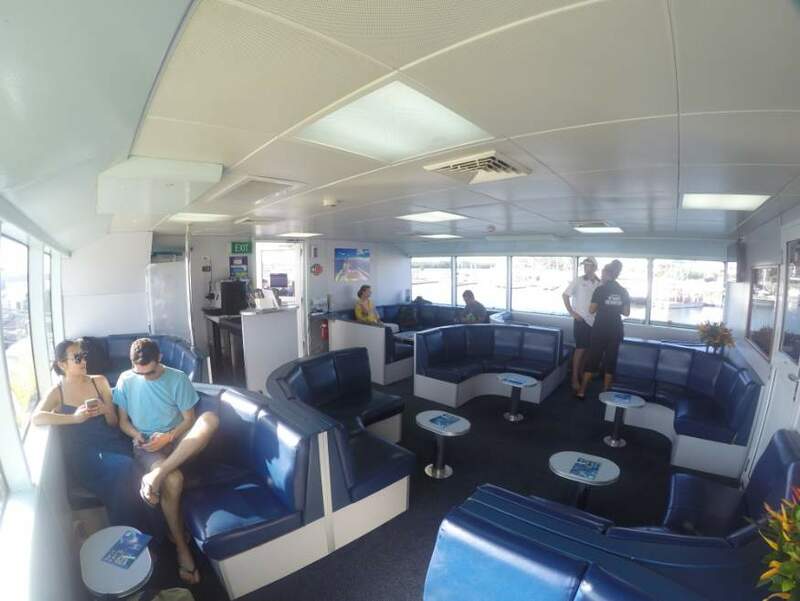 The catamarans each have two air-conditioned lounges, outer viewing decks and fully licensed bars with drinks and snacks available for purchase. The Captains Lounge is extra at approximately $30 to $40 FJD pp and is air-conditioned with complimentary snacks and beverages. You can upgrade to Captains Lounge on the booking form. 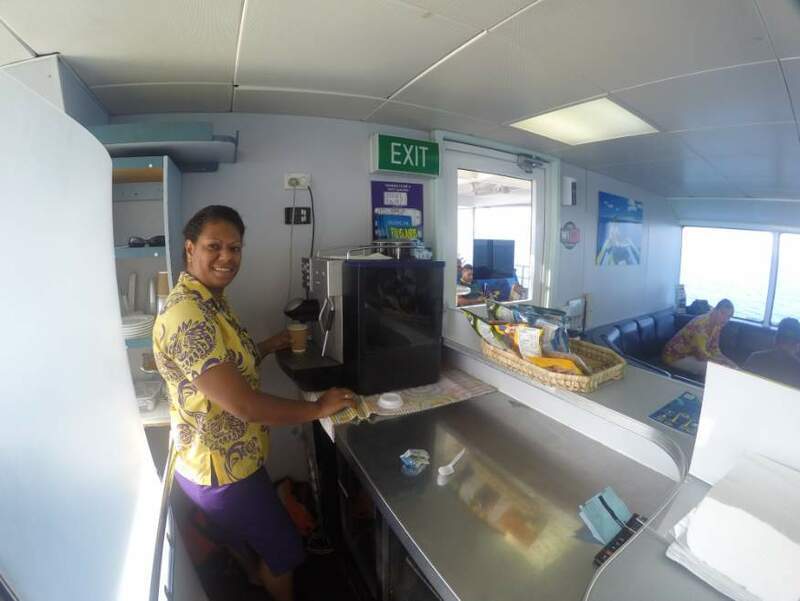 If you're going all the way to the top of the Yasawa's to say the Blue Lagoon or Nanuya resort (a 5 hour ride) then pay the extra for the captains lounge, it's well worth it. The seats are way more comfortable. 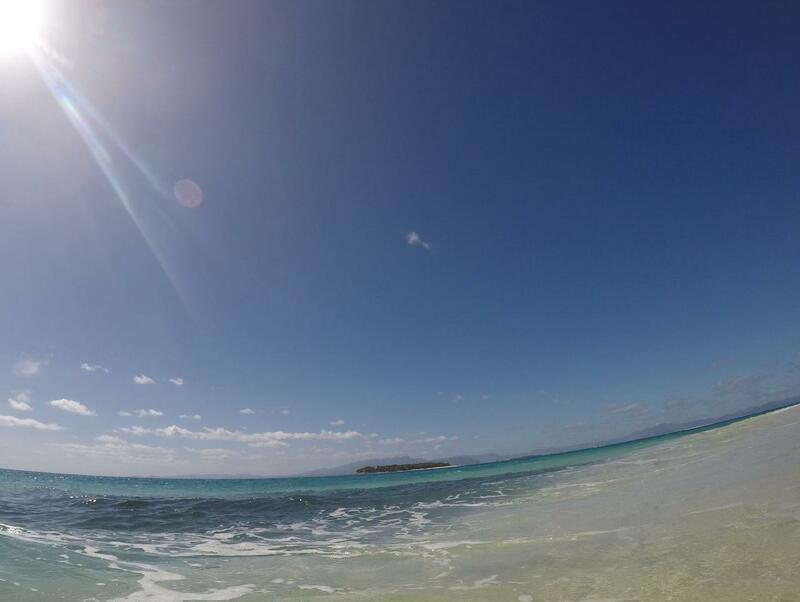 For a list of all the places the Yasawa Flyers goes to and some of the highlights at that particular island read more on our page about Yasawa Island Accommodation. If price checking it often looks like we are more expensive but in fact are not. 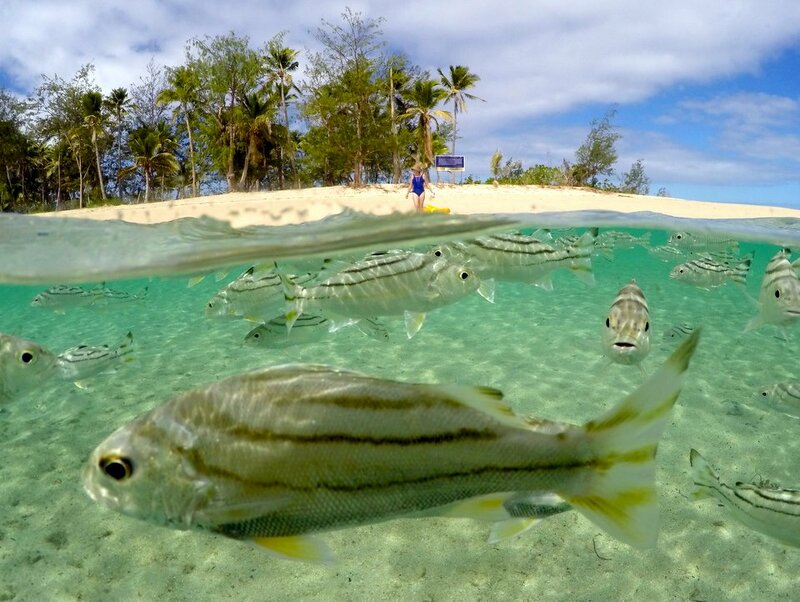 Our prices are shown in Fijian Dollars, but if you are looking at the Awesome Fiji website you will be seeing the prices in the currency of the country you are in. This is because they automatically default to this. So if you book the Captains Lounge from Denarau to Safe Landing the price is $225 FJD but in AUD$ it's $145 and NZ$ it's $156.